Every so often I get a surprise cookbook or magazine from the Taste of Home people. Back in the day when I was OCD about recipe contests, I submitted hundreds (literally) of recipes to the Taste of Home site. While I haven’t visited the site in some time (in fact I can’t even remember my log in information), I still am featured in one of their publications periodically. 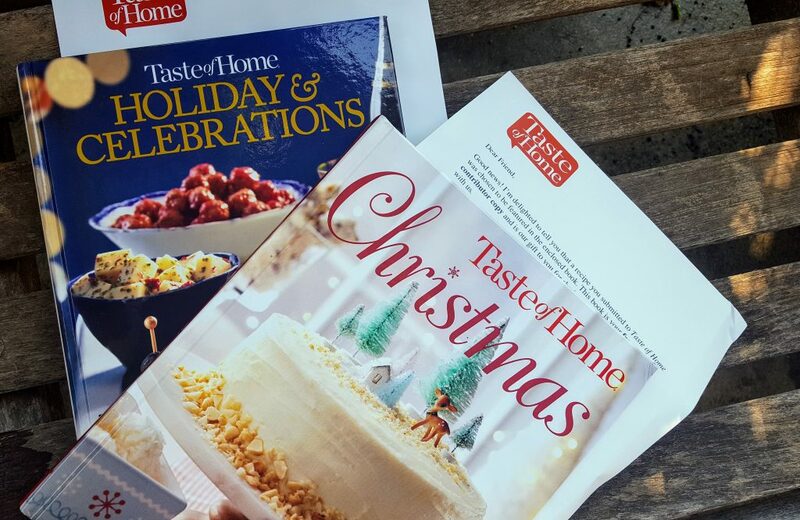 When one of my recipes gets picked, I receive a free copy of the publication whether it’s a cookbook or one of their magazines. Within a two week period recently, I received two holiday cookbooks. I will be reviewing them both here today. The cake was listed under the Holiday Feast section. I have earmarked a few recipes for the upcoming holidays, especially in the slow cooker and make-ahead sections. The Gift Mix section includes the obligatory cookie jar mixes but also has some interesting recipes for seasonings like herbed salts and rubs. The Homemade Gifts & Decor section includes creative ideas like an advent calendar made from a muffin tin, knitted infinity scarves, and felted elves. Fun recipes, themes, and ideas. My “Herb-Vinaigrette Potato Salad” recipe is included in the Spring Staples section (107). This is a great way to celebrate early produce from the garden. To add some more crunch, sprinkle with croutons. (This recipe is featured in Taste of Home’s Holiday & Celebrations, 2017). Place potatoes in a large saucepan, add water to cover. Bring to a boil. Reduce heat; cook uncovered for 10-15 minutes or until tender. Remove potatoes with a slotted spoon; cool. Return water to a boil. Add asparagus; cook, uncovered for 2-3 minutes or just until crisp-tender. Remove apsaragus and immediately drop into ice water. Drain and pat dry. 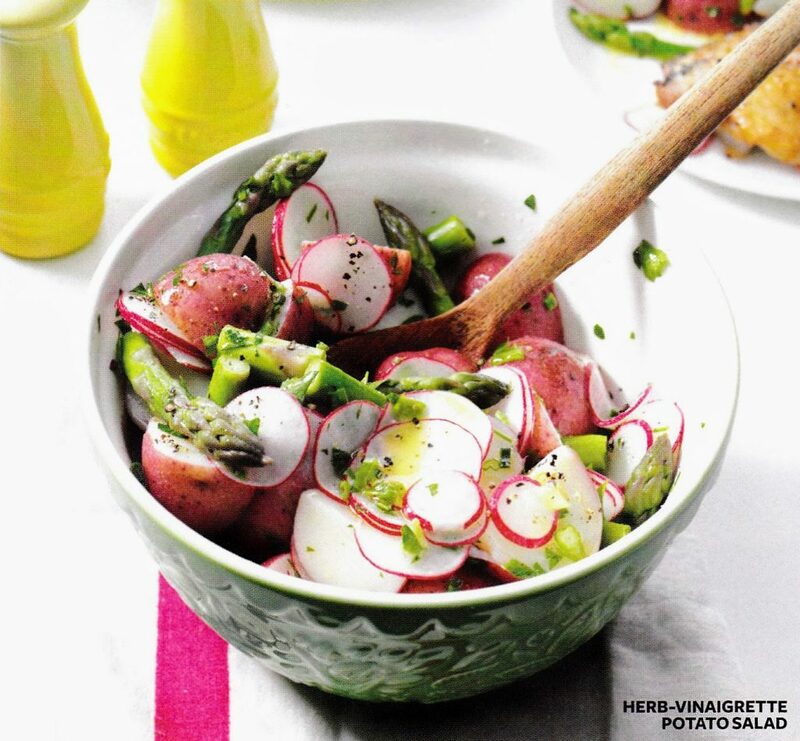 Transfer the potatoes and asparagus to a large bowl; add radishes, green onions and herbs. In a small bowl, whisk the vinaigrette ingredients until blended. Pour over potato mixture; toss gently to coat. Serve at room temperature or chilled. Stir before serving. For my other recipes featured by Taste of Home, click here. These recipes include the aforementioned Pina Colada cake plus a Strawberry-Spinach Salad with Hot Pepper Dressing, Bruschetta Pizza, and Split Pea Soup (a $400 prize winner for me!). As for the review of these two cookbooks…. Lord knows I have enough cookbooks to last to infinity and beyond…. I am once again linking up with September’s Foodie Reads. And, finally, I have a salad to post up to Souper Sunday with Deb at Kahakai Kitchen. Very tasty looking poatsalad there. I used to get Taste of Home magazines too. I haven’t seen one for a while though. I only get them when I’m in them… 🙂 Thanks, Tina. 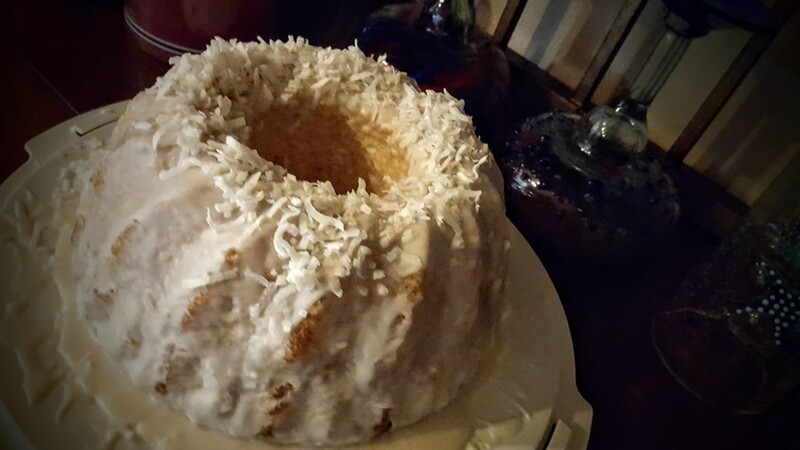 I love recipes from Taste of Home and your bundt cake looks pretty awesome too, Debra. You are too kind, Angie. Thanks! That’s really cool that you are in the books. The potatoes , asparagus, and radishes look really interesting in this recipe.so many wonderful vegetables. That potato salad looks so tasty. 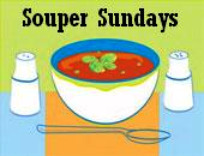 Thanks for sharing it with Souper Sundays this week. 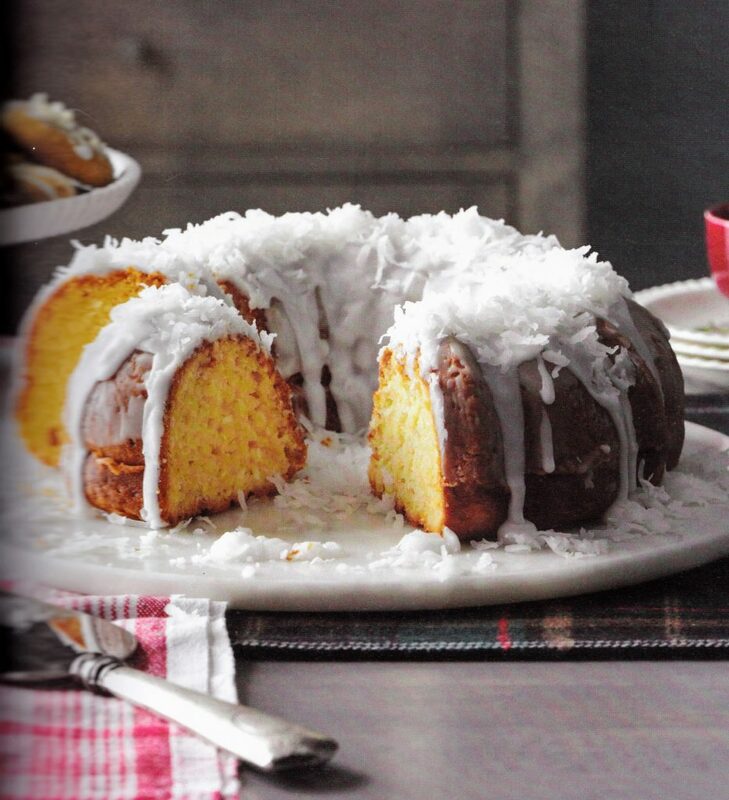 And I am craving that bundt cake right now. Thanks, Deb. I hope to post more salads this month. I almost made the bundt cake this weekend for a family reunion, but ended up making low sugar brownies instead. 🙂 Probably good but not AS good.